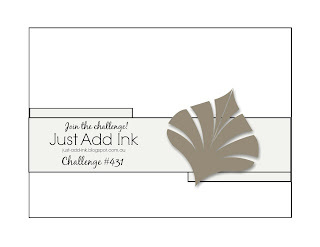 Just Add Ink #432...Choose Two! 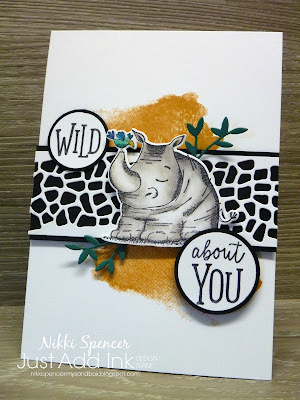 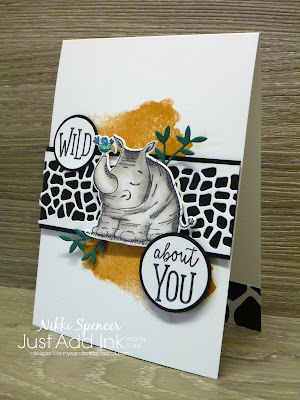 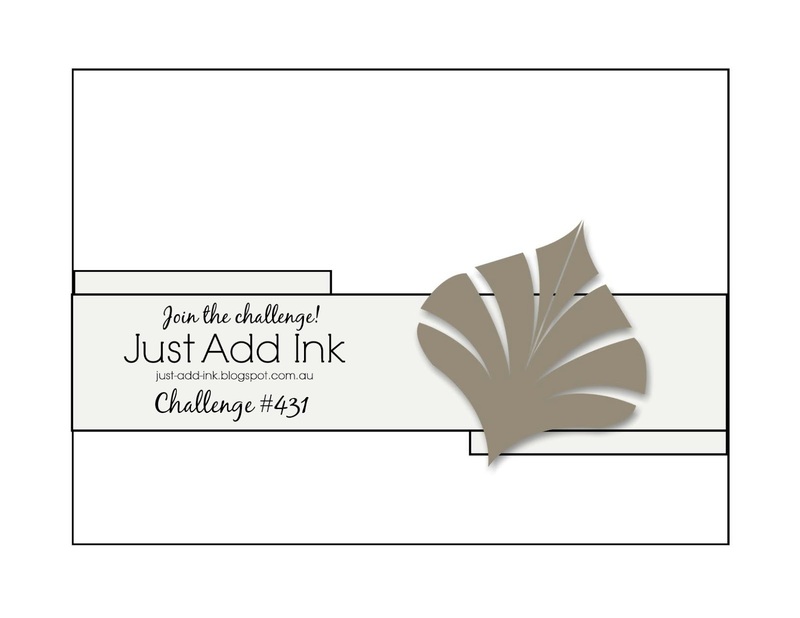 We have a brand new Just Add Ink challenge today and the lovely Patrice has challenged us all to add two of the above elements to our projects! 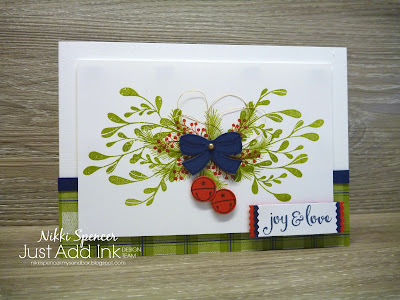 I've gone with "Bows & Bling" on both cards combining them with the "Mistletoe Season" stamp set. 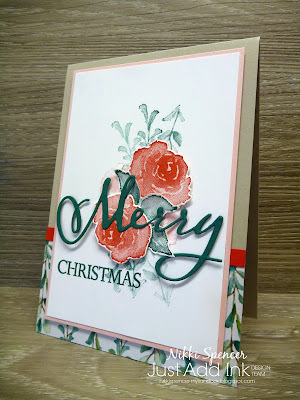 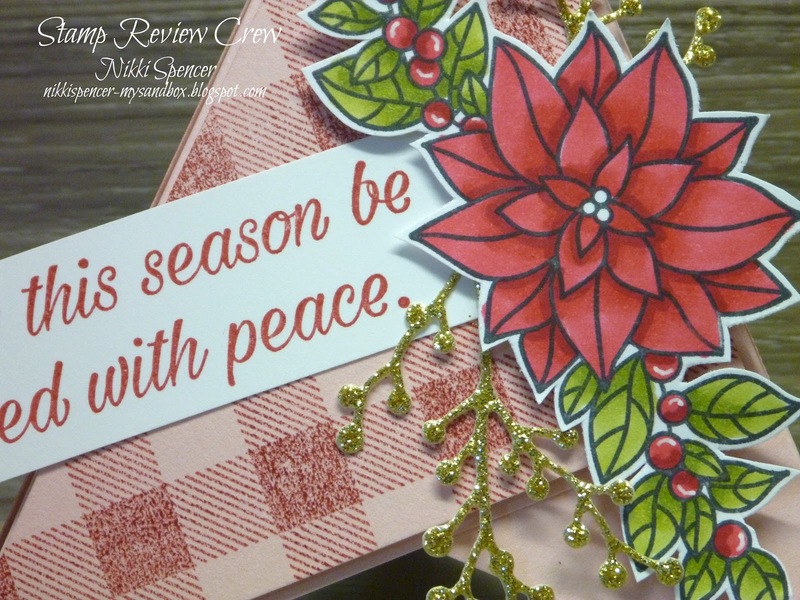 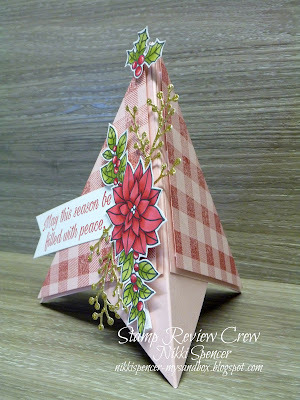 I love the simple images in this set that make creating quick and easy Christmas cards a breeze! 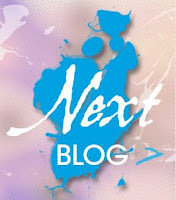 The colours l've used are Night of Navy-Real Red-Old Olive-Tranquil Tide & Early Espresso. 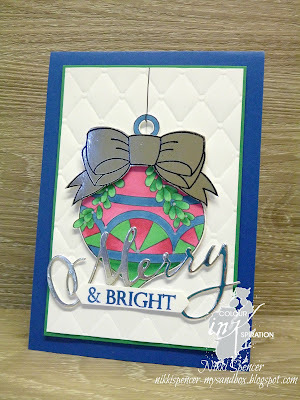 Loads of Buttons-Bows & Bling happening over on the challenge blog, don't forget to stop by and see all of the lovely inspo from the design team. Its time for another Just Add Ink challenge and this week the lovely Rochelle has given us this pretty inspiration to create with! If you have been following my posts, you will remember l mentioned my infatuation with this gorgeous stamp bundle (First Frost), well it continues! 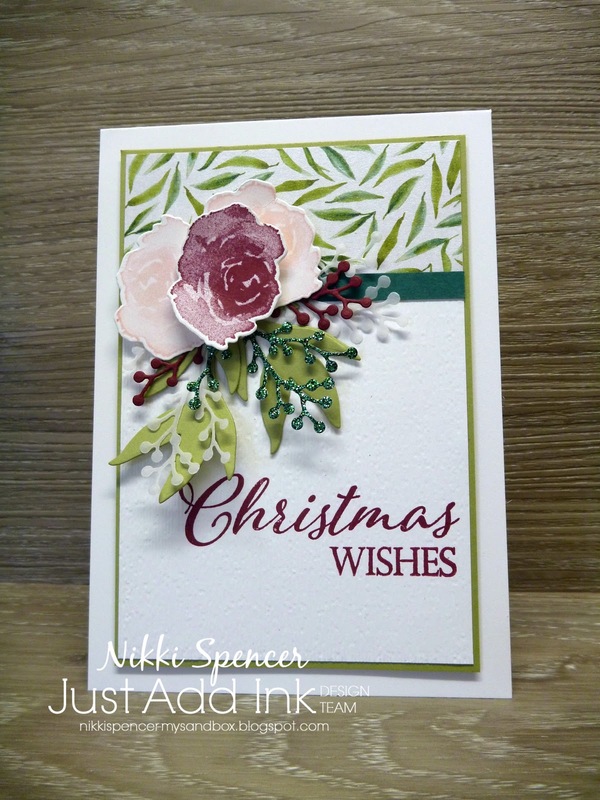 Here is another variation on Christmas and l'm in love with the look, even if l do say so myself...:0) The colours l've opted for are Sahara Sand-Tranquil Tide-Poppy Parade & Powder Pink and combined them with the awesome "Merry Christmas to all" bundle. 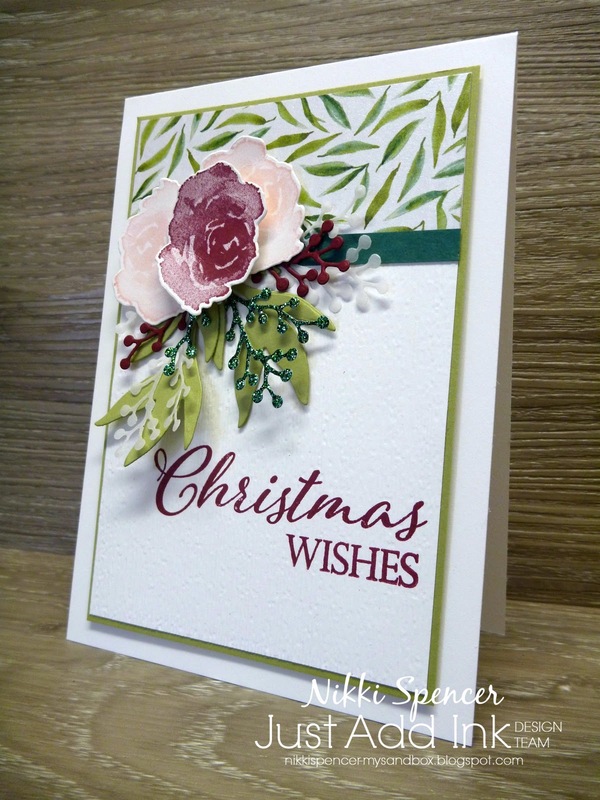 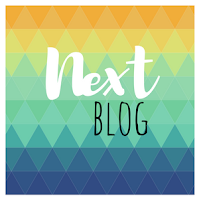 So many pretty projects from the design team this week, so make sure you pop on over to the challenge blog to get loads of inspiration from the team. 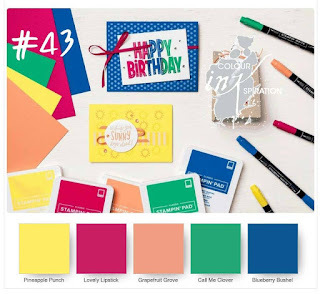 Check out these gorgeous colours we have to choose from for this weeks Colour INKspiration blog hop! 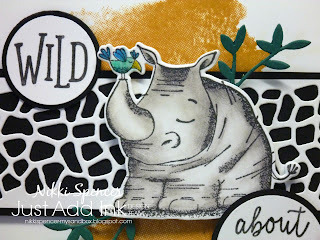 They are Stampin Ups! 2018/20 In colour collection. 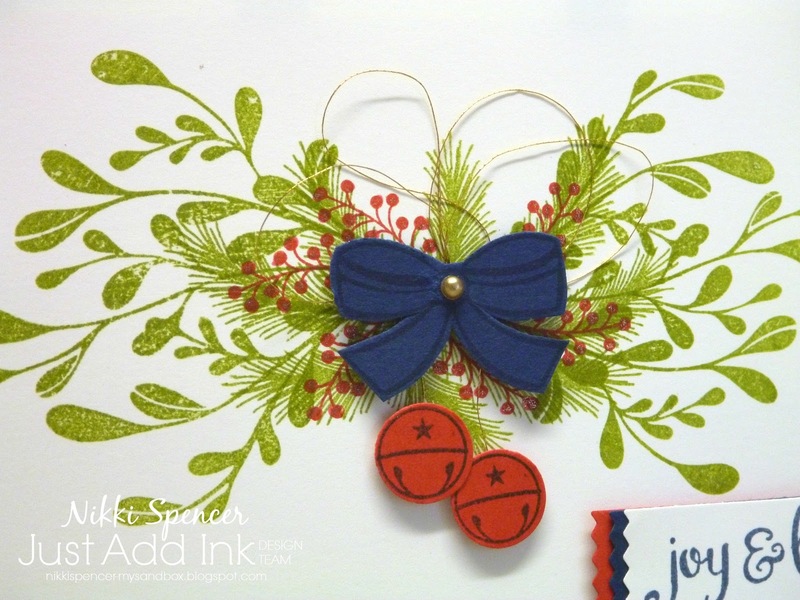 This is a fun one, as we get to choose 1-2-3-4 or all 5 colours to create with. I've gone with 3 and they were Blueberry Bushel-Lovely Lipstick & Call me clover and some silver foil and used my Stampin Blends to colour the big bauble image from the new "Great Joy" stamp set. 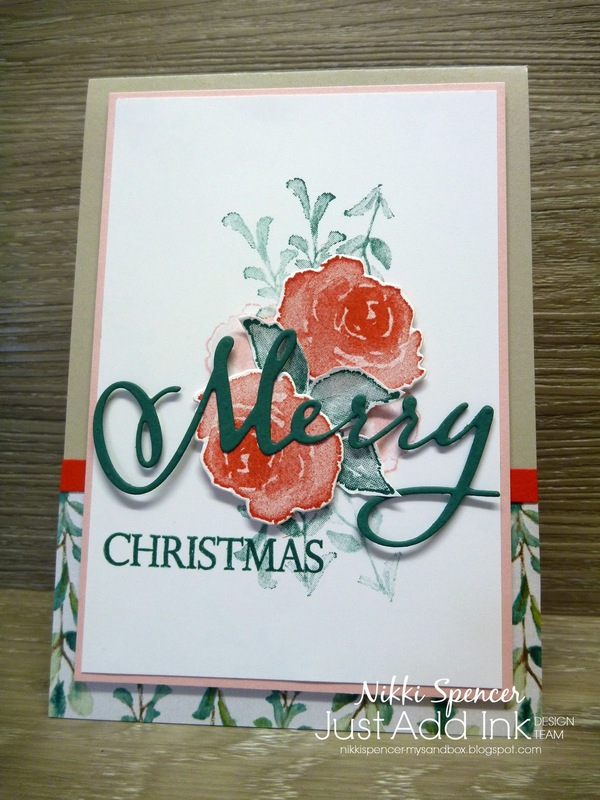 It really is fun coming up with different combinations and l'm pretty happy with the end result! 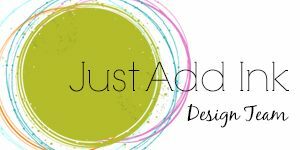 You can join in the fun by clicking on the link or banner above and be redirected to our Facebook page where you can request to join and share your project or you can keep happily hopping by clicking on the next banner below. 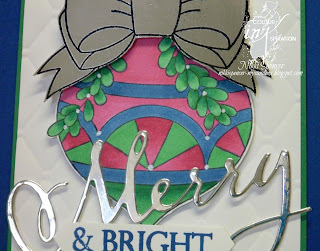 You may have just landed here from my lovely and talented friend Denita Wright-Smee, but if not, you can click on her link to see her project and then keep hopping from there. 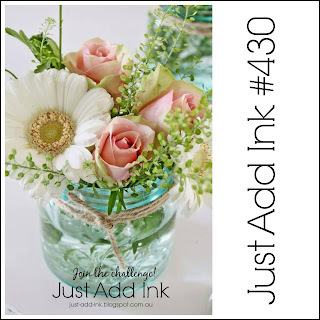 Good Morning and happy almost weekend to you all! Can you believe how fast the weeks a flying by? 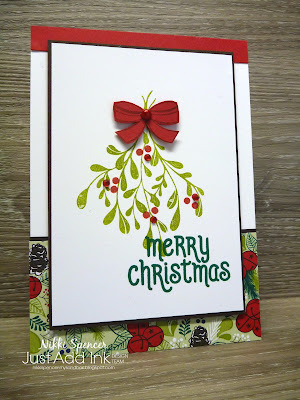 Fridays seem to come around so quickly and before we know it, it will be Christmas! 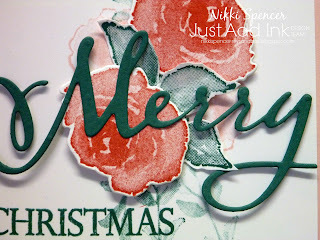 With that in mind, l decided to start making a decent dent in my Christmas cards and with "First Frost" being my absolute fave Christmas set this year, you will no doubt be seeing loads of pretties! Di has challenged us to add "Vellum" to our projects and using one of my favourite dies from this bundle l added some soft vellum foliage. 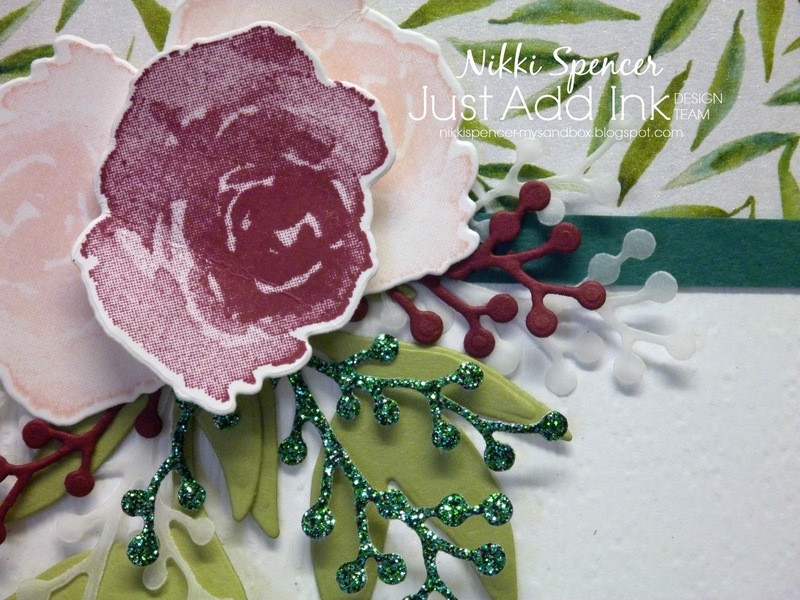 My go to colours were Tranquil Tide-Pear Pizzazz-Powder Pink & Merry Merlot. 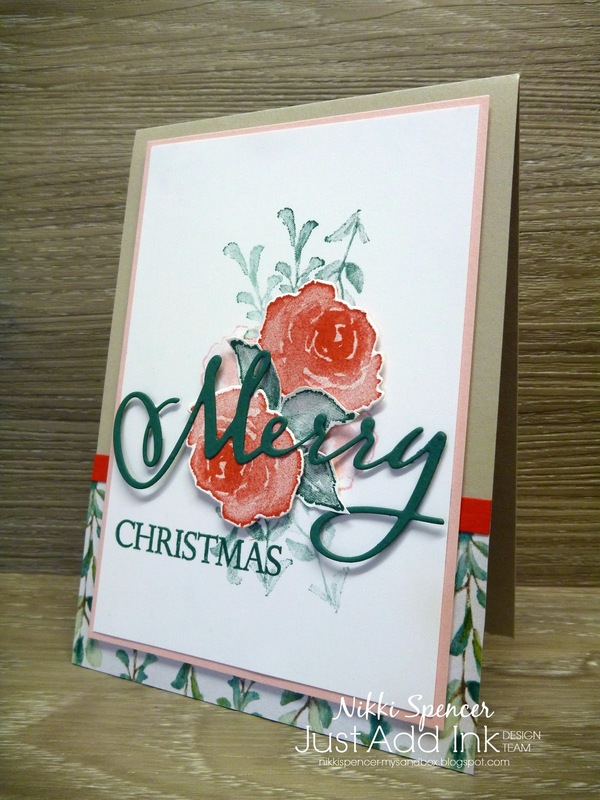 The design team have created some stunning projects using vellum, so make sure you pop over and check them out!